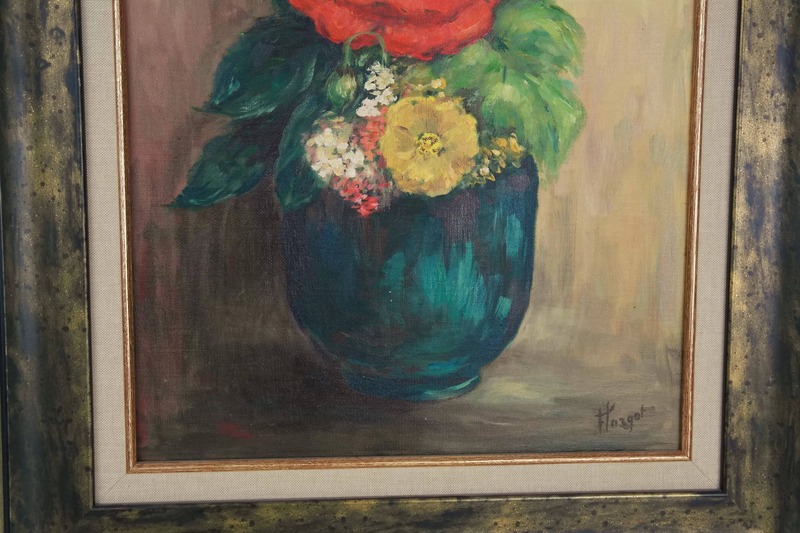 A superb vintage still life painting of flowers in a teal Vase. 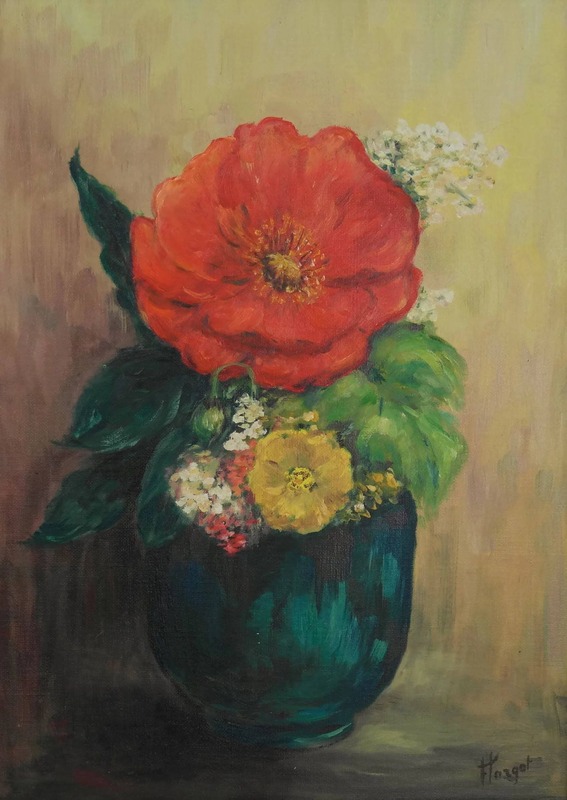 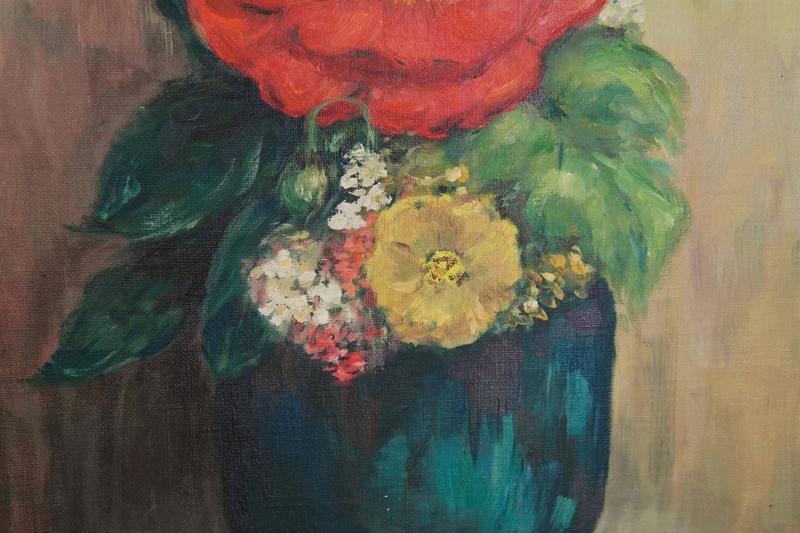 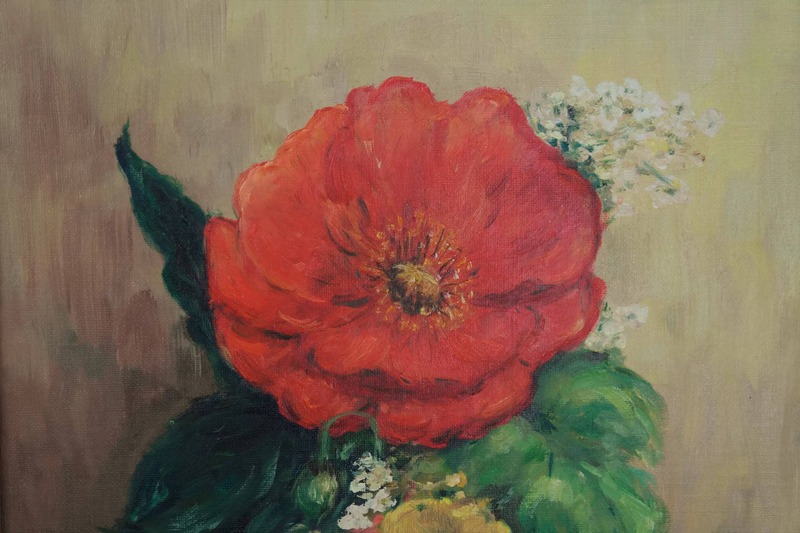 The still life has been painted on stretched canvas in a palette of vibrant colors with bold brush strokes. 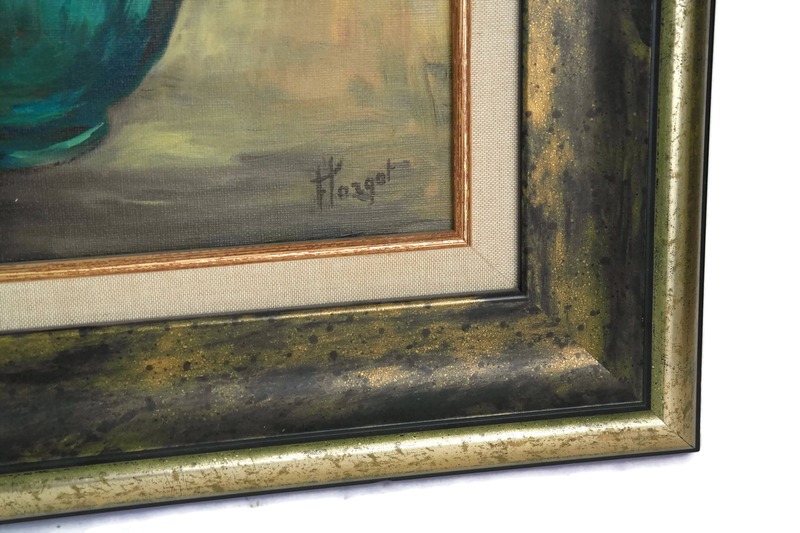 It has been signed by the artist Hargot and framed in a broad green and gold tone wooden frame. 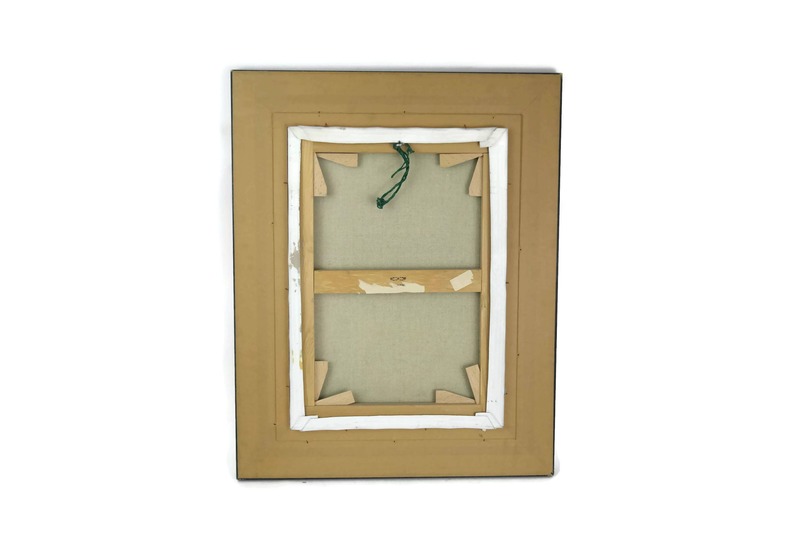 A hanging loop is included. 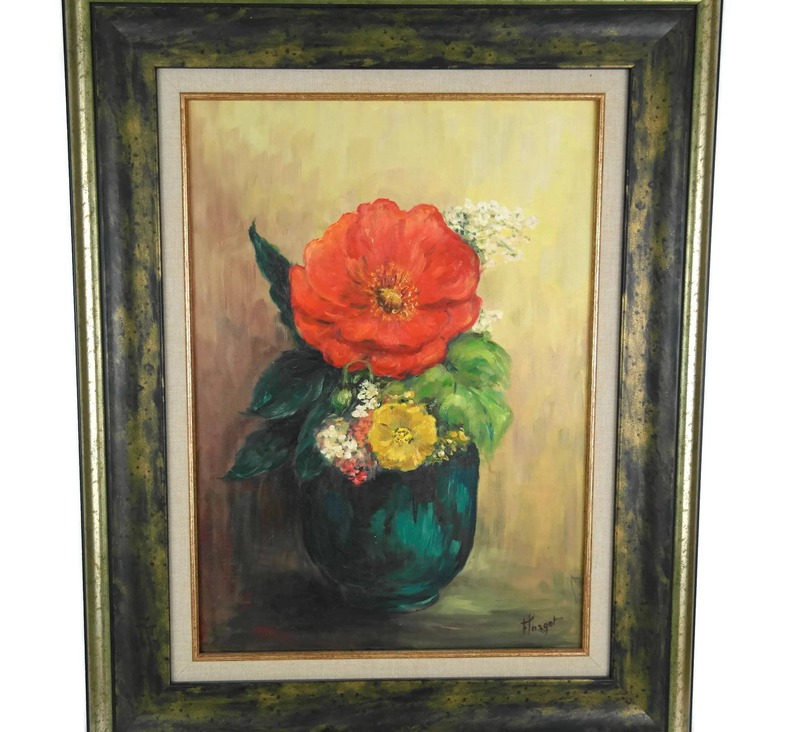 Including frame: 25" Tall x 20" Wide (63 cm x 50 cm). 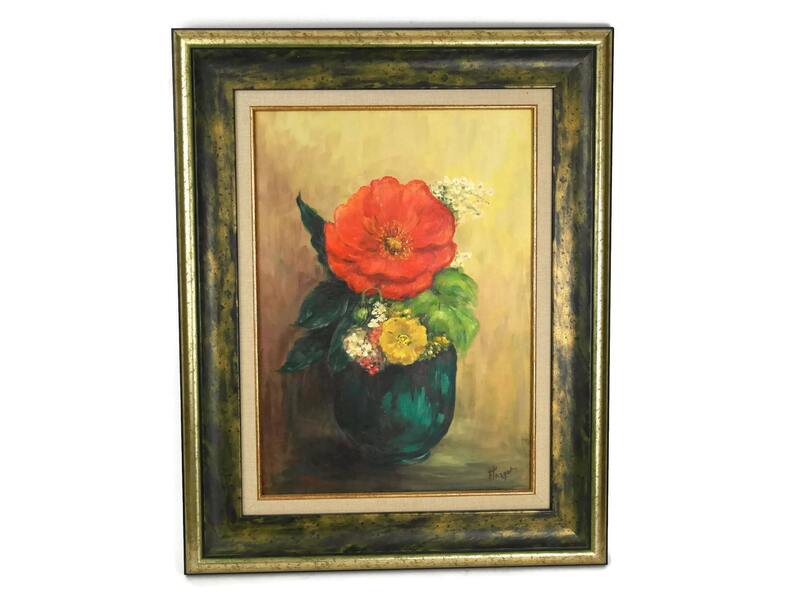 Image size: 17" Tall x 12 1/2" Wide (44 cm x 32 cm). 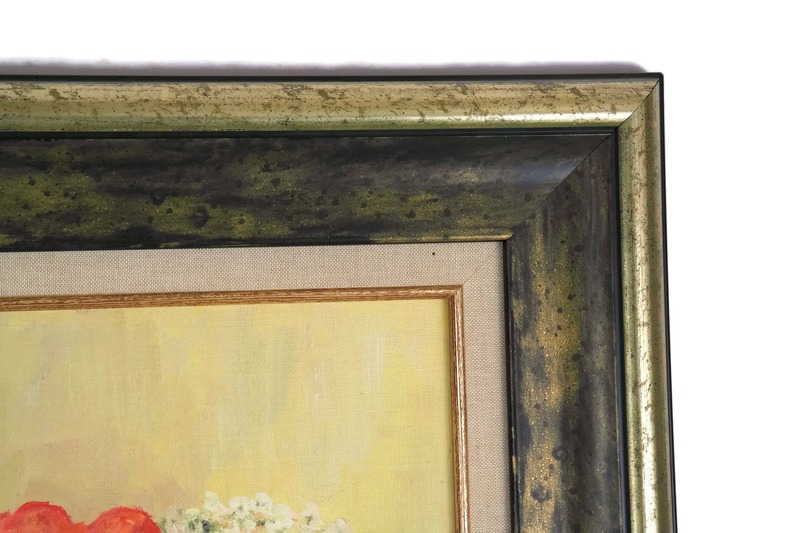 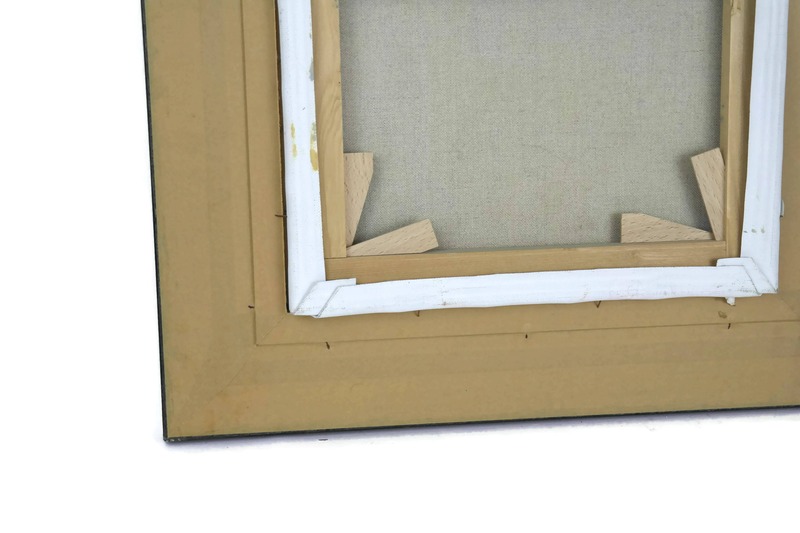 The oil painting is in very good condition with light wear to the frame in places.